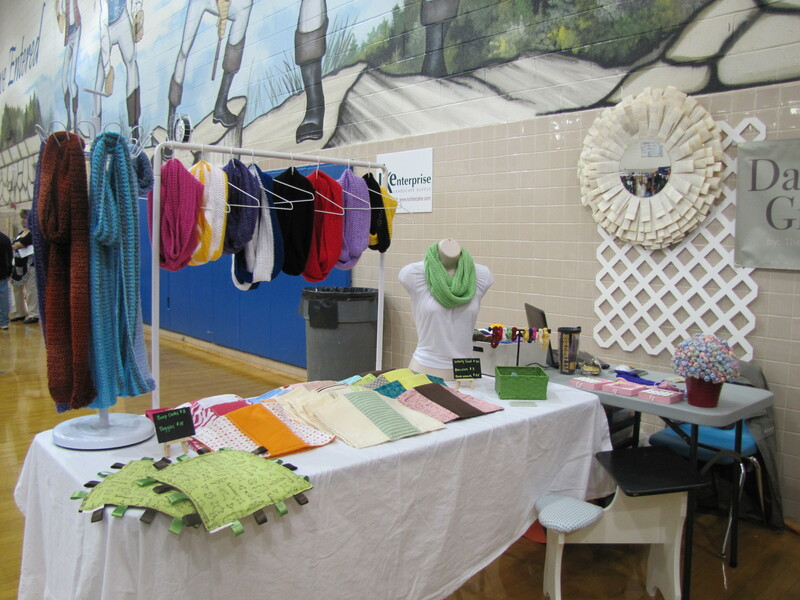 This past weekend I was in another craft show at Park View High School. Since it was indoor we were trying to figure out a way to still use the lattice. Luckily since we had a wall behind us we used 3m hooks to hang it up. It worked out fantastic but we won’t always have a wall behind us – so while we were there we walked around and took a look at what others did for walls. 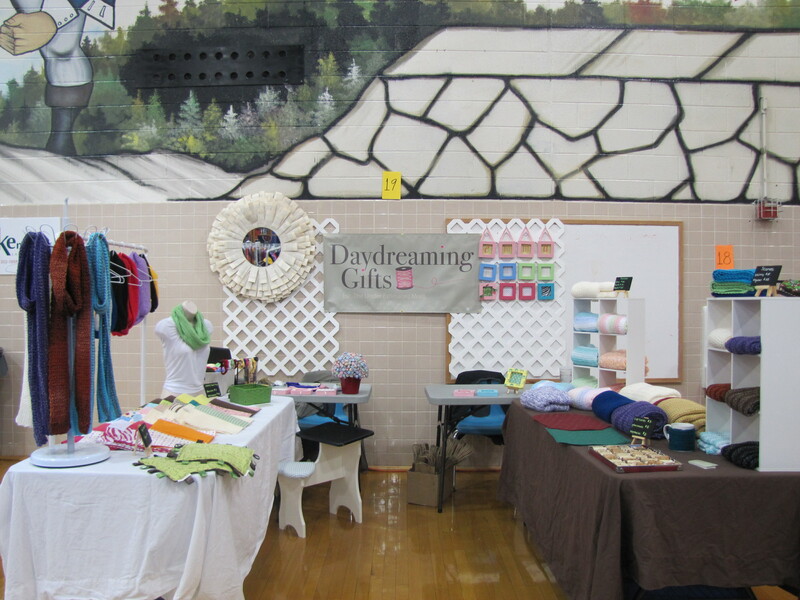 One thing that really stood out about this craft show was that it was very overwhelming! As soon as you walked in you were hit with TONS of tables, TONS of things, TONS of colors. It was really exhausting to the eye, so I’m thinking that while walls would be the best idea. The one thing a room like that didn’t need was more color! Overall the craft show went well. 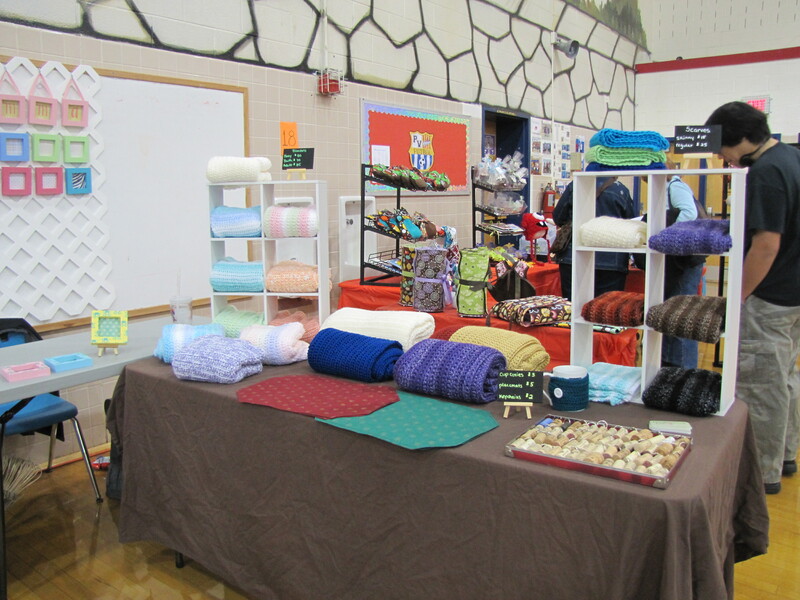 I was lucky to have an awesome vendor beside me to talk to and share extra space with. On a scale of one to ten – I’d give this craft show a four or five. It was planned well, there was a lot of help and food for the vendors, but between booth costs and donating an item, there was just enough people to cover the cost and not enough to really make a profit. My next show is in December and I’m already stocking up for that one 🙂 I’ll be sure to post pictures and new projects as they come! ← The Next Big Step! I agree with you completely!! I know that when there’s so much to look at in one room my eye tends to wander really easily. Having walls would help me look at things easier! yeo… you need to choose your shows carefully and spent that renting money well… but it’s hard to know in advance some times 🙂 your booth is so great looking! Aw I dream to do a craft show one day. It’s fun, stressful, exhausting, exciting, and nerve racking!! haha sounds like a blast. I feel like I would just be freaking out the whole time for my first one lol.